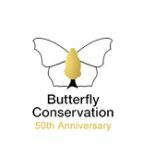 We work to conserve moths as well as butterflies. This work is through initial assessments of the value of sites and then through voluntary conservation work. We run a large number of free to attend walks and conservation tasks and a small number of training sessions and indoor meetings. Weekly work parties at various locations, as well as walks, training sessions, and meetings.